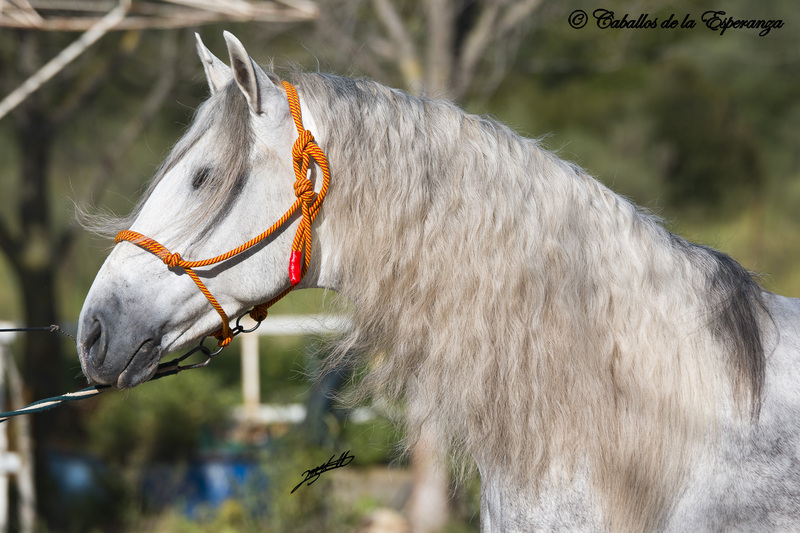 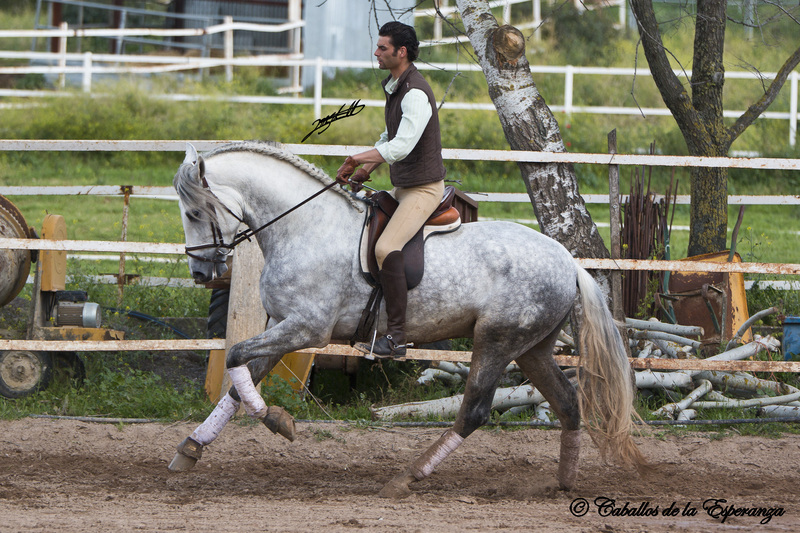 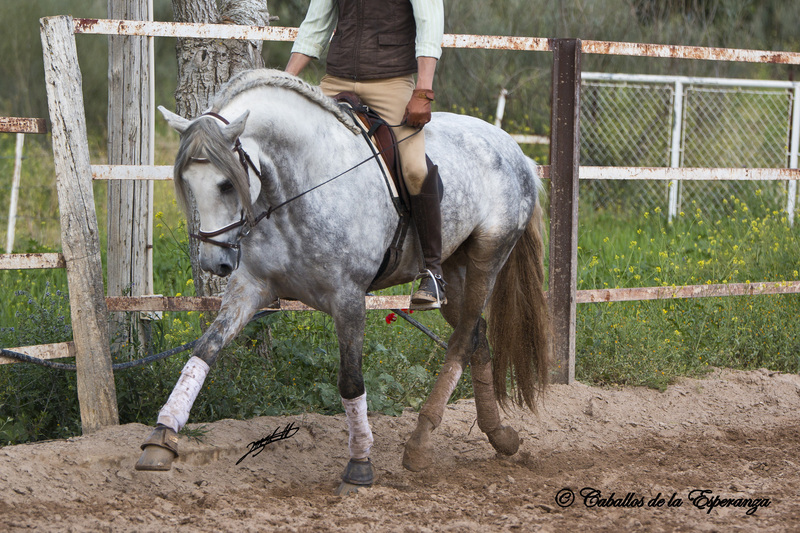 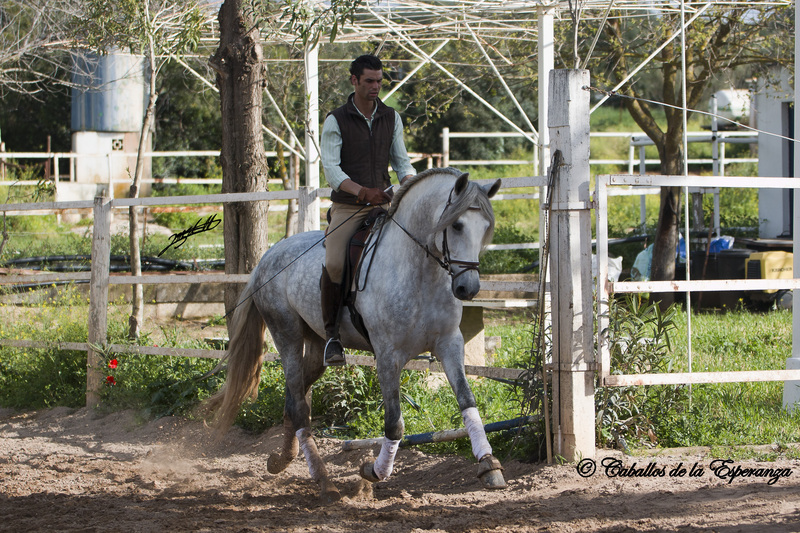 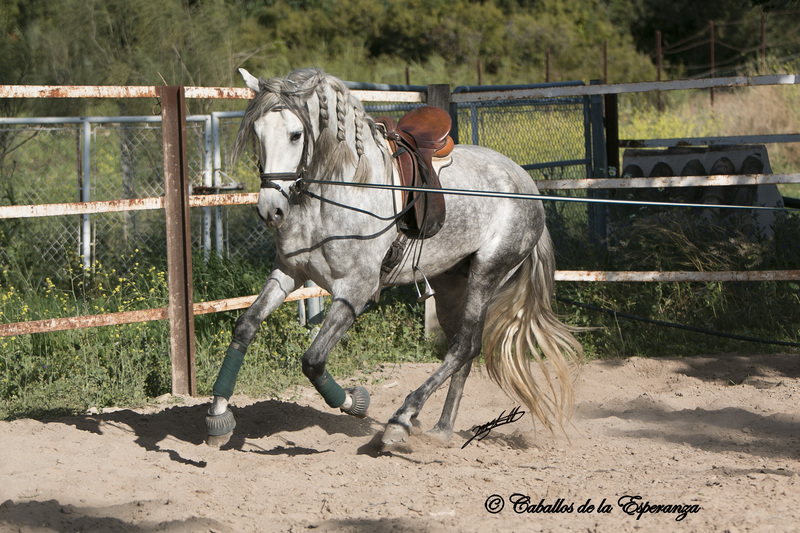 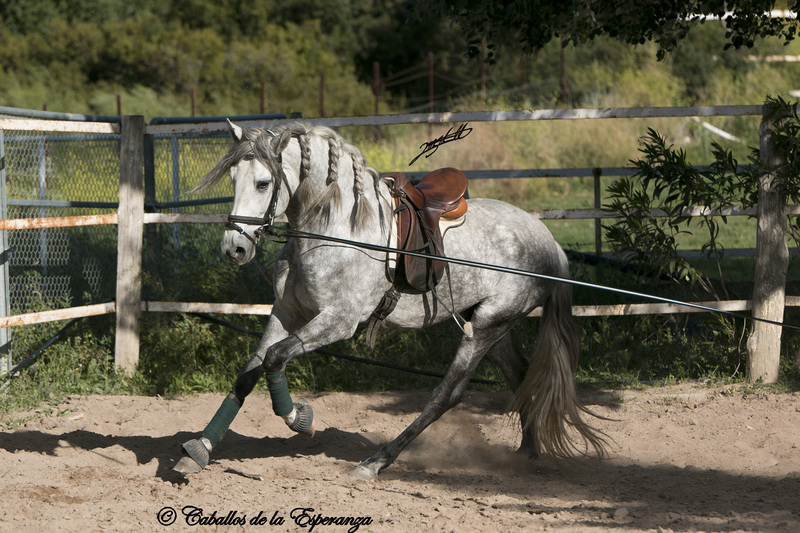 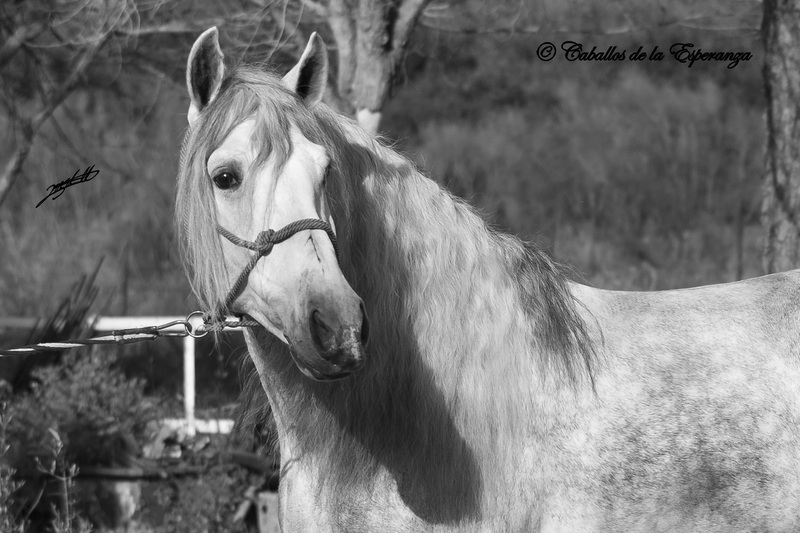 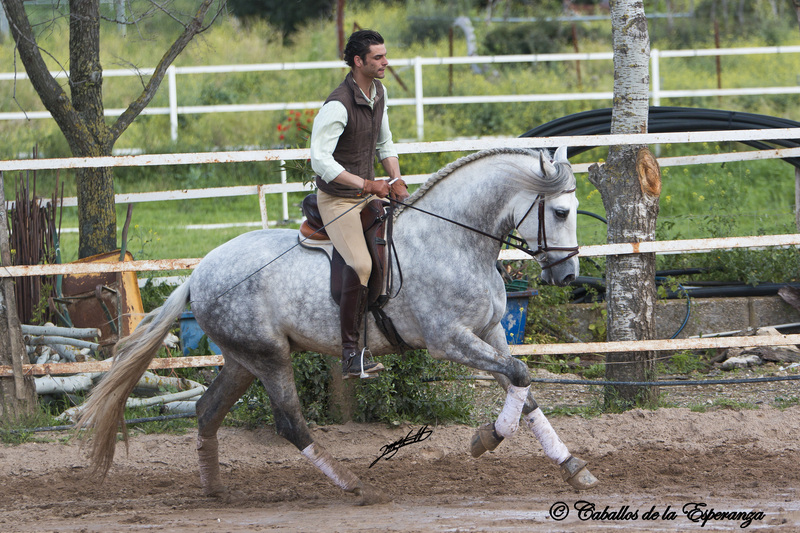 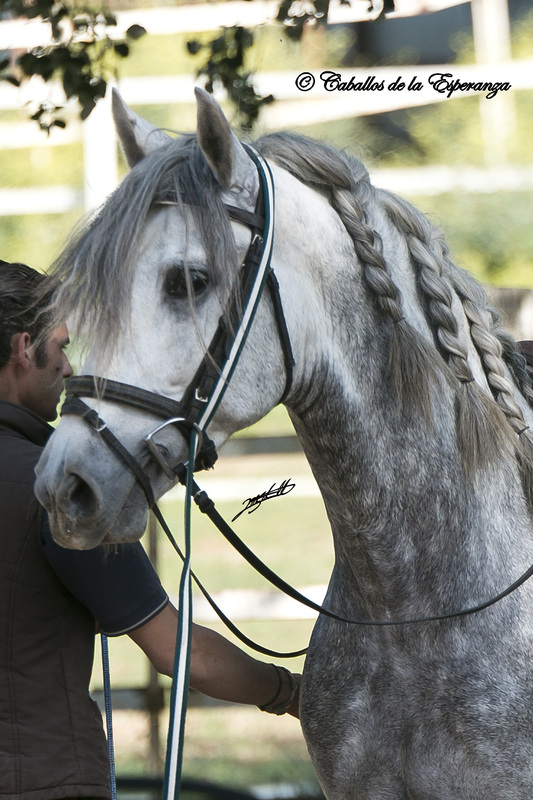 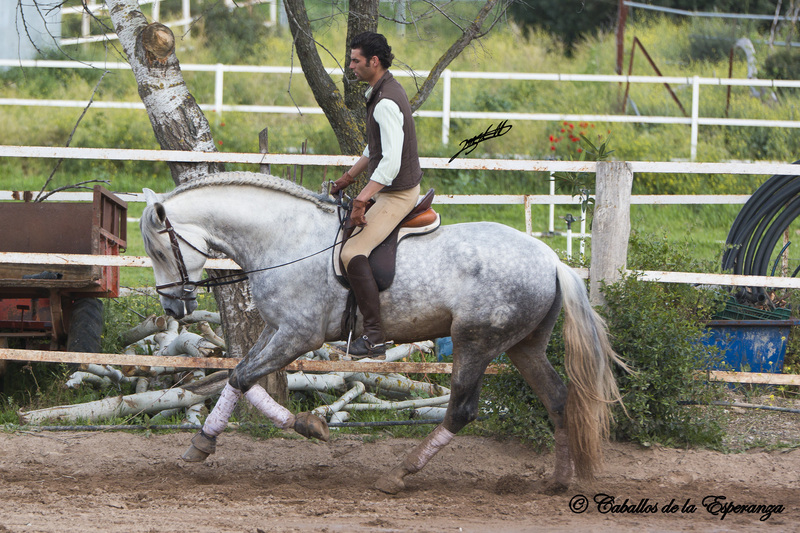 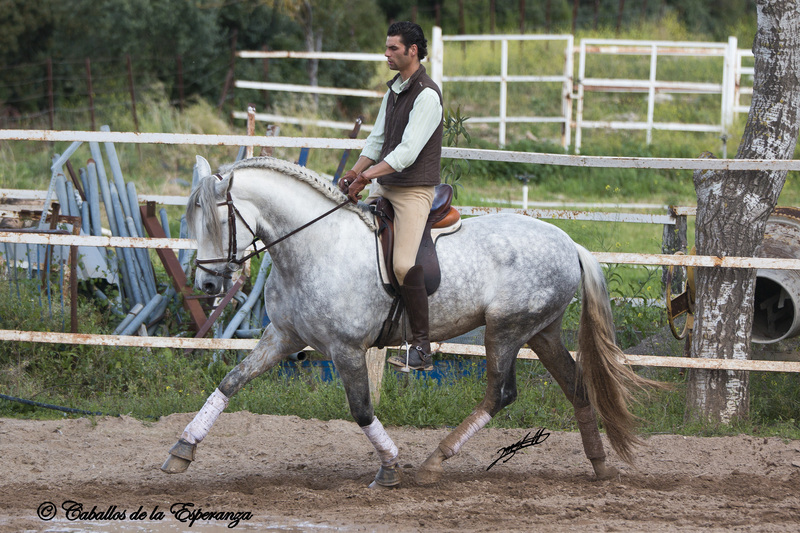 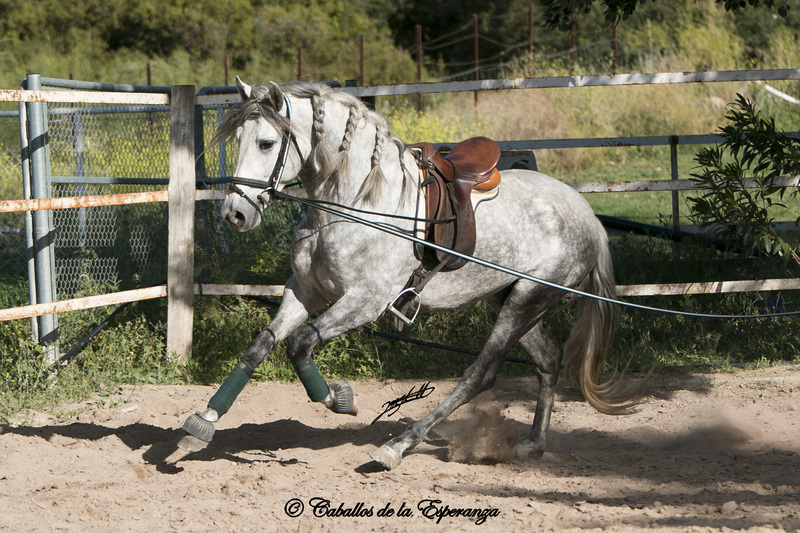 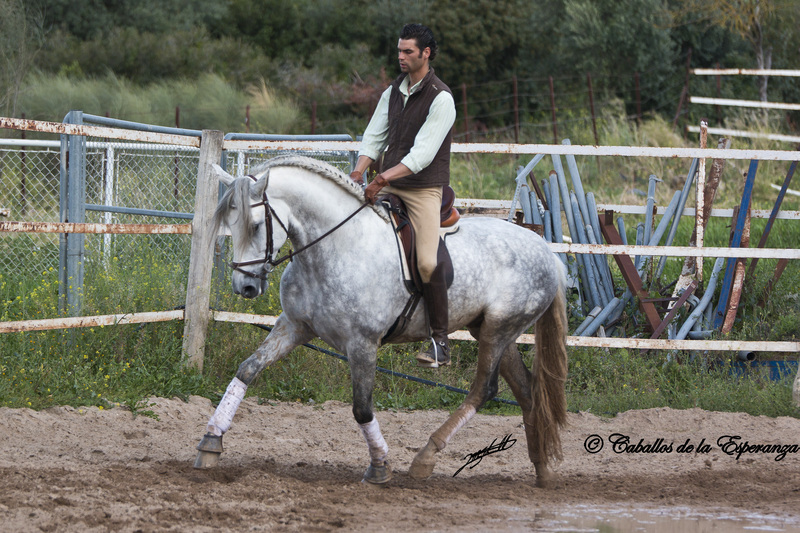 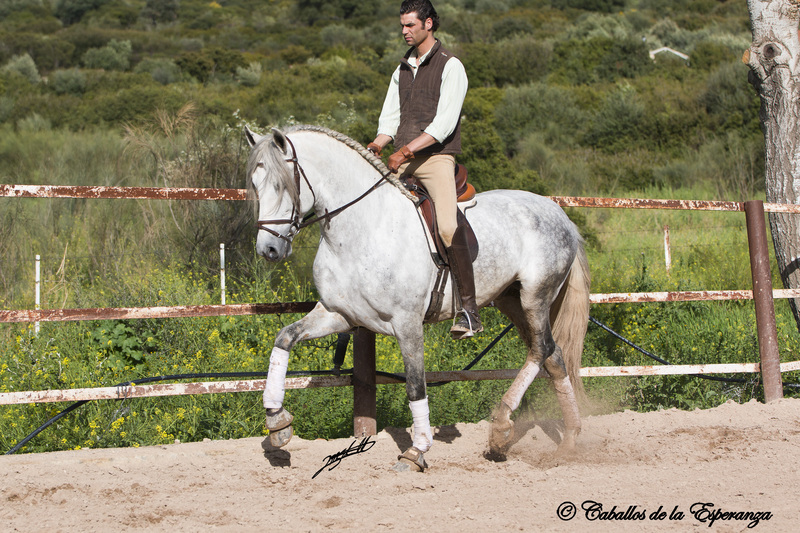 Vagabundo is a very tall, stunning PRE stallion with a lot of quality and excellent gaits. 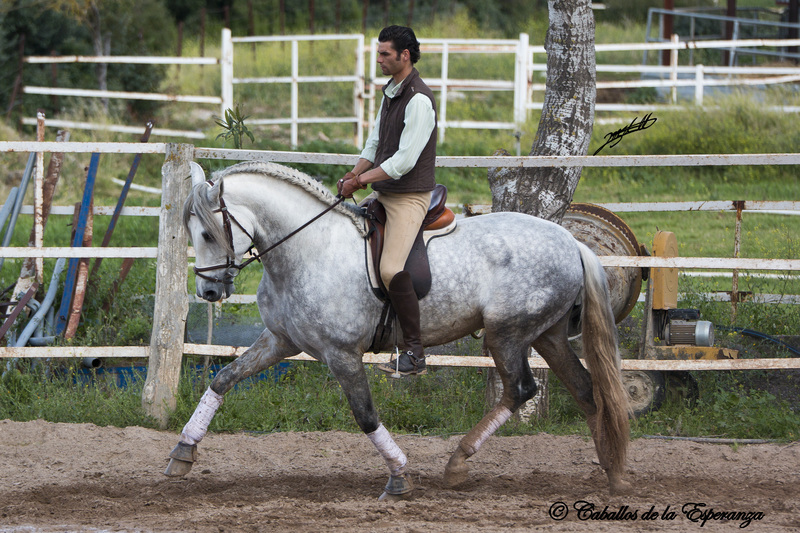 Until 4-years old he was in a bachelor group outside in the “campo” and was then slowly broken in. 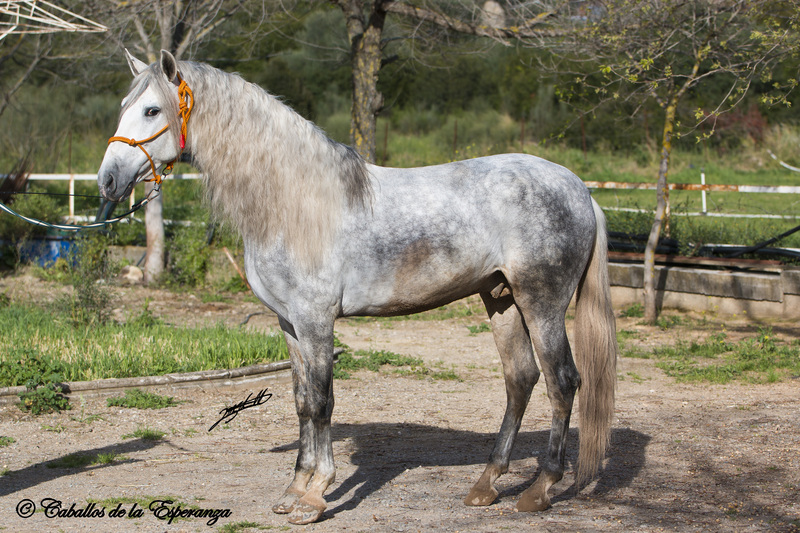 Due to financial issues of the breeder he hasn’t been trained up to a higher level yet, but he is still young and has a lot of ability to learn more. 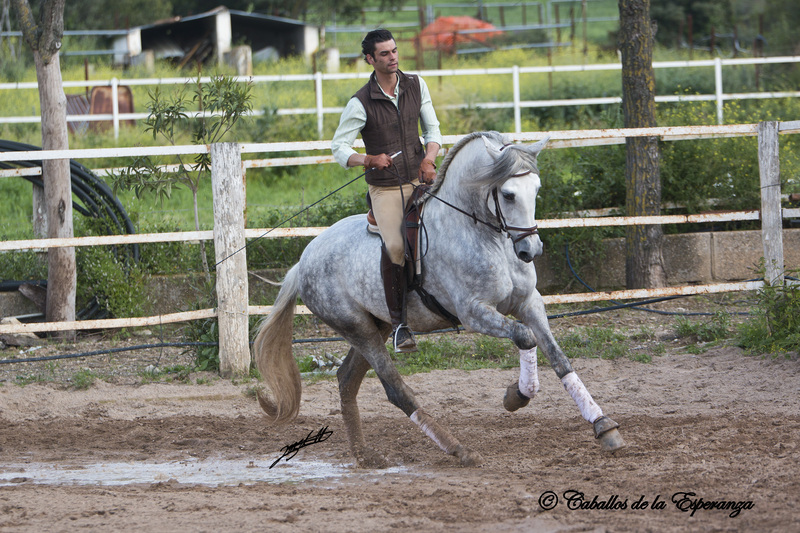 He has good basics and some lateral works. 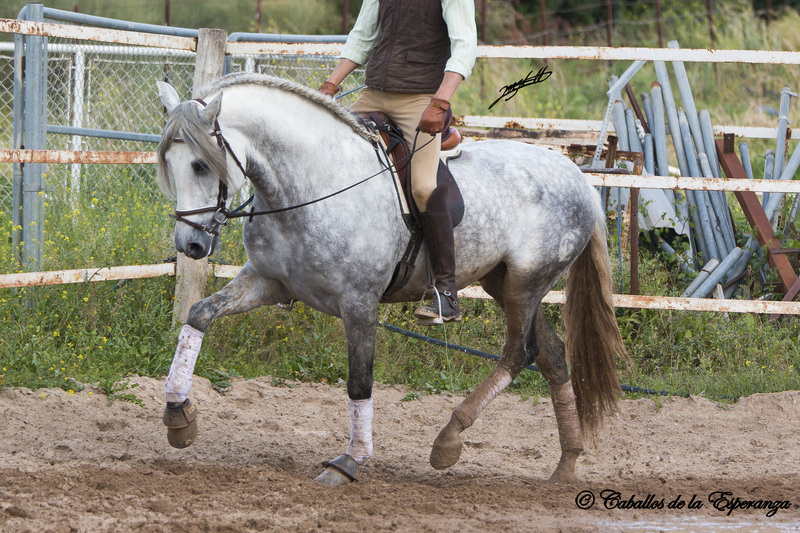 He is a horse with a lot of power and quality and this is why he needs a rider with experience. 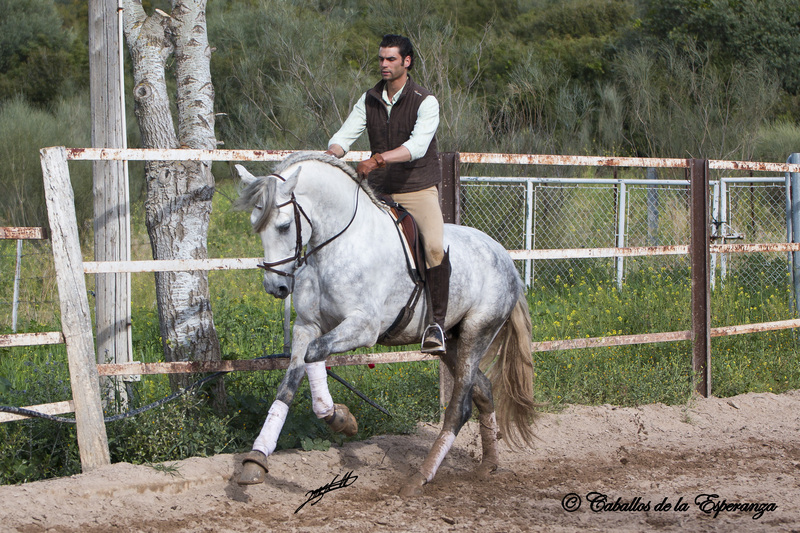 Vagabundo is still young and I am sure that with a good training he will become an outstanding dressage horse. 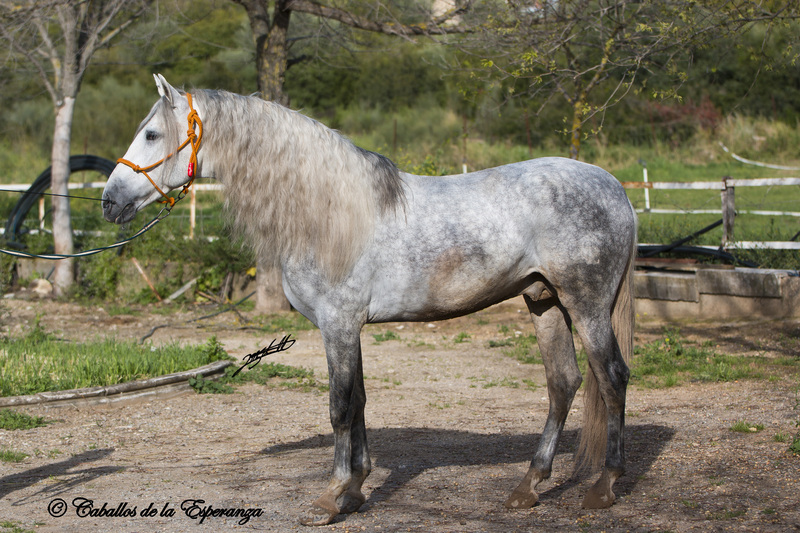 His father Digital is a Calificado approved stallion that has already a lot of promising offspring. 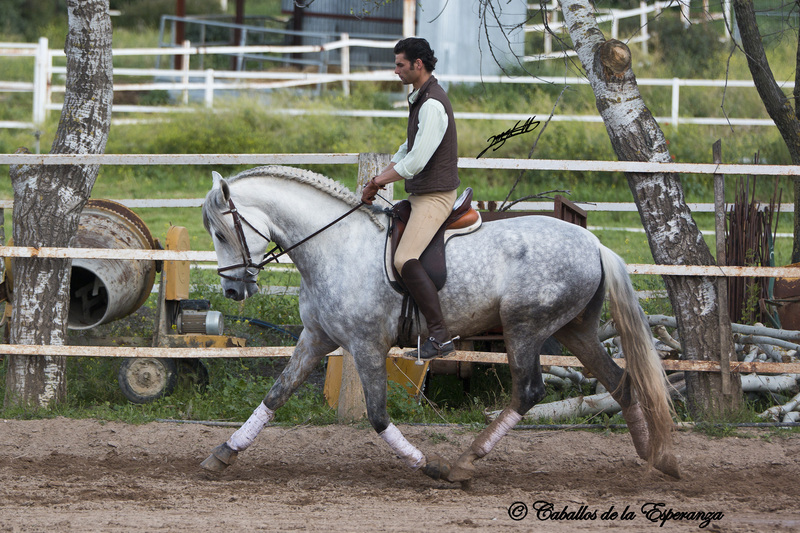 Vagabundo is one of them and he is surely interesting for dressage and of course for the breeding. 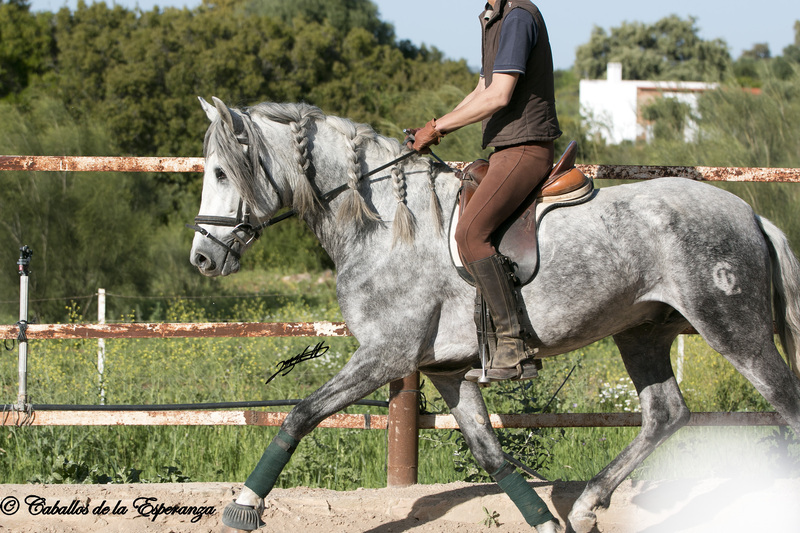 He has already first very promising offspring that have his good paces and will have his tall and nice body.